My name is Vida Cross. I am from the south side of Chicago. I have a BA in Creative Writing and History from Knox College, a MA in English (Creative Writing) from Iowa State University, and a MFA in Filmmaking and a MFA in Writing from The School of the Art Institute of Chicago. My first book, Bronzeville at Night: 1949, was just released this year: April 2017. This book is a collection of blues poems that are based on the artwork of Archibald J. Motley Jr. I began writing at a very young age: I would say at 8 or 9. 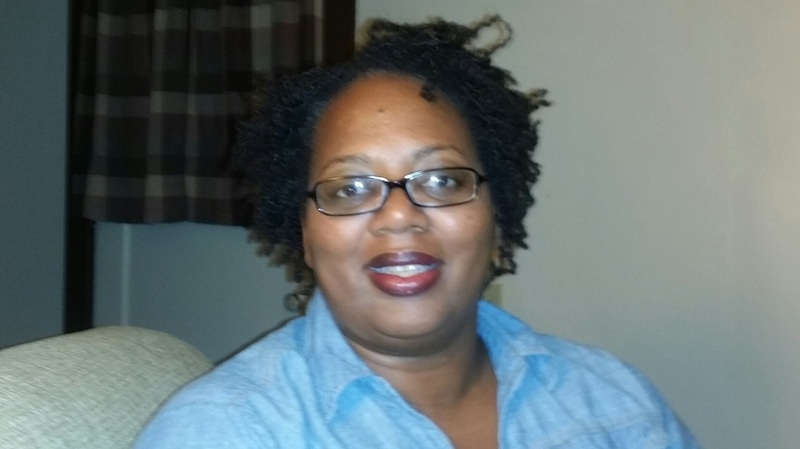 In my household books on black history and African American literature, were everywhere and I read some great poets (Maya Angelou, Langston Hughes, and more), and I felt inspired to write poetry. In high school I was the first fiction/poetry editor for a newspaper called New Expressions. The Fiction/Poetry insert was called “Young Chicago.” I was the editor for “Young Chicago.” I felt like a writer then. I being interviewed for a position. They wanted someone who could teach music, literature, and art. However, they felt the subjects could not be combined and that no one could really do all three. I went home and began writing Bronzeville at Night: 1949 in 2003. The title is based on a painting by Archibald J. Motley Jr. I am a blues poet. My poems are narrative poems. Many of the poems narrate a fictional character’s tale. Some of the poems are rhythmic, some are humorous, and some are tragic. As a whole, the poems have a narrative arc. Some of the poems, not all, have a small thread of truth. Some are based on actual events that occurred in my grandparents lives. My grandparents migrated from Mississippi to Chicago and they bought a home on 35th street in Bronzeville. Later, they had to sell the home for Chicago’s first attempt at gentrifying that area. For this particular book I did not have to travel outside of the city. I did a lot of research at the Chicago Public Library. 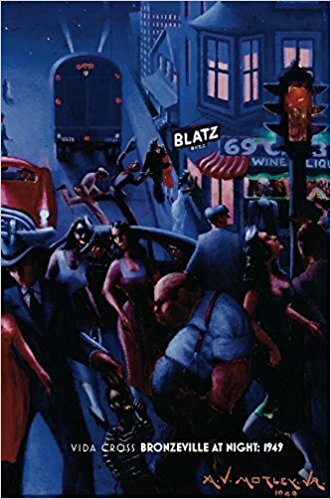 The cover of the book is Archibald J. Motley Jr.’s painting Bronzeville at Night. Mary Swander (a former instructor). Mary Swander is one of those writers who will start playing drums in order to write a poem. What I mean by this is she goes that extra mile. Her statements to me are very brief, but I watch her and pay attention to her and she’s fascinating. Calvin Forbes my advisor and mentor from The School of the Art Institute. Calvin will listen to any question I have about the writing process. He tends to always have an answer, but if he doesn’t he will share thoughts that are enlightening. Anna Leahy is a former classmate who will end every conversation with a reminder to write. Yes. It is a career. It is not a hobby. Keep writing. It takes a long time so be patient. My mom bought books with our, me and my sisters’, names in the books. We were the characters. How to Get Away With Murder, The Americans, and The Mary Tyler Moore Show.